A first look at the period serial killer thriller. 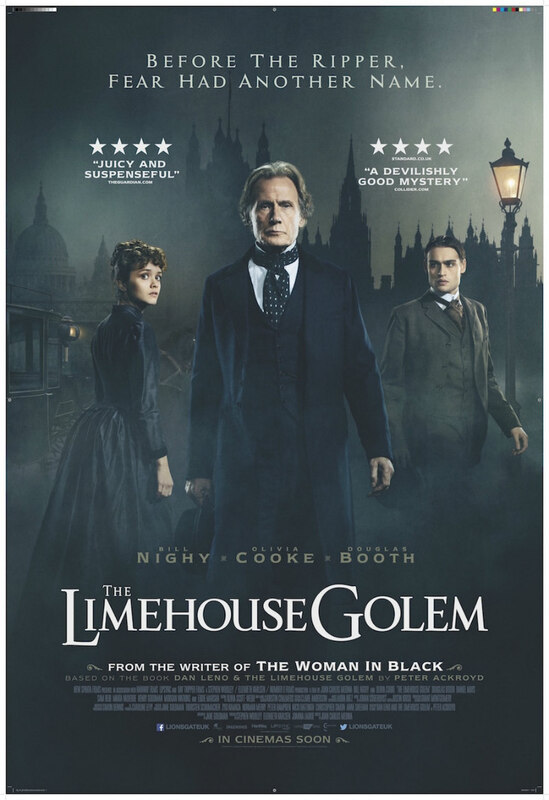 Based on the novel Dan Leno and the Limehouse Golem by author Peter Ackroyd, The Limehouse Golem is the story of a serial killer who terrorises 1880 London. Brought in to investigate is Scotland Yard's Inspector Kildare, played by Bill Nighy. The movie also stars Olivia Cooke, Douglas Booth and Eddie Marsan, and is directed by Juan Carlos Medina from a script by Jane Goldman. A serial killer stalks the Limehouse streets of Victorian London in 1880, the terrified population of this squalid district of the East End believe that the “Golem”, a monster from Judaic mythology, is responsible. Inspector Kildare of Scotland Yard is handed the impossible task of solving these heinous crimes and his investigations lead him on a race across the capital from The Old Bailey, to Newgate Prison, to the music halls of London and the British Museum. His chief suspects are music hall superstar Dan Leno, political agitator Karl Marx, writer and philosopher George Gissing and journalist John Cree. Kildare believes that famed performer Little Lizzie Cree, who is almost certainly destined to hang for the poisoning of her husband, holds the key to the identity of the real Golem. Kildare must solve the case and in doing so, he believes he will save the life of Elizabeth Cree.